On the face of it, venture investing actually sounds pretty simple. Find and finance a small and emerging business that solves a problem, and guide and nurture the founder(s), so they can reach that goal. The reality is, of course, more nuanced. While sifting through hundreds of pitches and spotting founders who are trying to solve a genuine and, ideally, monetizable problem with their company is already hard enough, what is increasingly becoming difficult is deploying capital in the most efficient way, when record fundraising is leaving investors awash with capital and looking for investable assets. 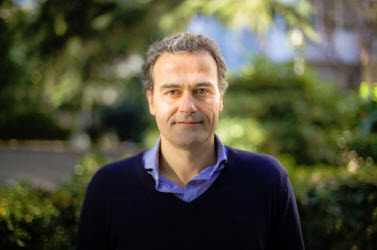 For Nauta Capital general partner Carles Ferrer Roqueta (pictured), this is creating a chasm between what VCs should be achieving and reality. "If you think about it, it is actually amazing what is happening at the moment," Ferrer Roqueta told PitchBook. "Deploying your capital in the most efficient way is something every investor should be doing, but we all know this is not the case and that in reality, this is just not happening consistently throughout the industry." Nauta Capital, a Pan-European VC founded in Barcelona and with a significant footprint in the UK and, as of recently, Munich, might be seen as somewhat of an outlier in the modern VC space. As startups and other firms raise record rounds and vehicles, this investor puts capital efficiency front and center of its thesis. While most entrepreneurs worry about not having enough money to grow their business, the other side of the same coin—having too much money—can have a real detrimental impact on the overall company. This has, to an extent, fed into Nauta's approach. Said Ferrer Roqueta: "If you put too much money in too early, you're going to destroy the cap table and possibly see the team losing focus because they are not ready and don't know how to deploy it properly. You're also going to artificially inflate its valuation, which in the short term might make the entrepreneur happy because of the paper wealth, but what happens if they don't outperform an already-aggressive business plan? "That's why we think that we have to be extremely careful on every move, and capital-efficient investing stems from that belief." For a number of European investors and governments, funding startups to a 10-figure valuation has become a goal in itself, as they seek to close the gap with the US and, to an extent, earn the bragging rights of having a blessing of unicorns within their borders. But this is a development Nauta as a firm eyes with caution. "We don't like the term 'unicorn' because what does it really tell you about the business?" Ferrer Roqueta said. "It forgets a very specific, important issue, which is how much money have you needed to get to that valuation. What happens if you've needed €500 million? Maybe the early investors will have made money, but the late investors may end up not making a reasonable return." Nauta tends to seek Series A deals with a very strong specialization on B2B software deals and industries where technology has not yet brought the level of disruption needed. One sector it has been focusing on is retail, where Nauta is investing in businesses that act as a bridge between traditional players and emerging ecommerce companies. While much has been written about the death of brick-and-mortar retailers, Ferrer Roqueta believes the story is not that clear-cut and views the retail space through a more nuanced lens. "What we have been seeing over the past few years is a massive transformation, but calling it Armageddon or death of the high street is definitely an exaggeration. We actually still like the retail space a lot because around 80% of this [multitrillion-euro] sector is still driven by the high street, with online, while rapidly growing, only accounting for roughly 20%. "And let’s not fool ourselves: Online is facing huge challenges, too, such as the massive cost of customer acquisition and the very low conversion rate. So, we are actually betting on companies that build technologies that make online retail better, and also on companies that have developed technologies that improve any business aspect of offline retailers." Having a foot in both of those worlds has seen the investor back an array of companies that are driving the transformation of retail and are addressing the mismatch between consumers' expectations based on their online experience and the reality of shopping on high streets around the globe. The company recently backed SaaS retail technology platform Mercaux with a £3.5 million investment and supported the merger between existing portfolio company Brandwatch and Crimson Hexagon. The new business, which helps brands understand consumer behavior, has around $100 million in recurring annual revenues. Ferrer Roqueta believes Nauta's prudent approach and partial focus on a sector that has, to an extent, fallen out of favor will serve it well going forward. "The overall market has had a great run for more than 10 years now, and there is going to be a correction on the macro side, and possibly a recalibration of some of the less-disciplined behavior we have seen over the last couple of years, he says. "Right now, we are moving towards bubble territory if you look at the number of deals and the amount of money being invested in some companies. But if we stick to what we do well—investing efficiently—the rest will really just come down to how we approach and partner with the founders we work with. "If I think that I know better than the entrepreneur on how to run their business, then things will go wrong. As an investor I have to remember that I'm being chosen by them more than I'm choosing them. So, I need to expect and be comfortable with them knowing better."